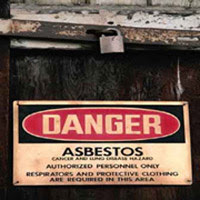 Tamil Nadu’s Nibhi asbestos company’s case against Bihar State Pollution Control Board (BSPCB), Bihar Industrial Area Development Authority (BIADA) and Bihar Government is listed for order before Justice Shivaji Pandey’s bench of Patna High Court after cancellation of permission of the carcinogenic asbestos based hazardous factory by Pollution Control Board. The matter is listed for order on August 21, 2017. The asbestos company has filed the case against State of Bihar, Department of Industries, Govt. of Bihar and Bihar Industries Development Authority (BIADA). In its counter affidavit, Pollution Control Board has submitted that the factory has undermined the status of Bihar as an air pollution control area under Section 19 of Air (Prevention & Control of Pollution) Act, 1981. The factory has also violated Section 21 of the Act which forbids establishment and operations of such factory without the consent of the Pollution Control Board. It has submitted that the factory was closed from November 2013. 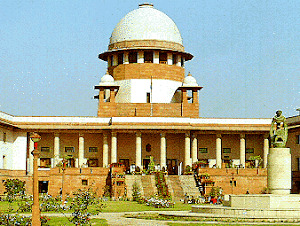 From the submission of the Pollution Control Board, it is clear that the High Court is likely to dismiss the petition of the Nibhi asbestos company because it is not maintainable because the company did not avail the alternative remedy provided by Air (Prevention & Control of Pollution) Act, 1981 and National Green Tribunal Act, 2010. It is evident that the company in question is guilty of failure to comply with the provision of Section 21, Section 22 and Section 31 A under Section 37 of the Air (Prevention & Control of Pollution) Act, 1981. The power of the Board to order closure of polluting factories under Section 31 A has been endorsed by the High Court in Bihar State Pollution Control Board v Hiranand Stone Works (AIR 2005 Pat 62). It has been held in Krishna Gopal v State of Uttar Pradesh (1986 Cr LR 11 MP) that the order of removal of a polluting factory which causes emission detrimental to the physical comfort and health of public at large is valid. In such a backdrop, Nibhi asbestos company is seeking quashing of the cancellation of consent by BSPSCB dated 21 July 2016 to operate its hazardous industrial activity. It has also sought quashing of letter of Chairman, Pollution Control Board dated 22 September 2016 ordering closure of the factory with immediate effect. The failure of the Nibhi company to obtain authorization under Section 5 of Hazardous Waste (Management, Handling & Transboundary Movement) Rules, 2008 is a grave illegal and immoral offence because it has exposed the health of workers, communities and the environment by its unpardonable act of omission and commission. Under Section 25 of the Hazardous Waste Rules, the company is liable for all the damages caused to the environment, workers and to the communities due to improper handling of the hazardous wastes or improper disposal of hazardous wastes. The company is liable to pay financial penalties as levied by the Pollution Control Board for its violations. The company did not submit Form 1 seeking authorization under the Rules. As a consequence it did not bother to maintain the record of hazardous wastes handled by it in Form 3 and did not submit annual return in Form 4 on or before the 30th of June of each financial year as per the Rules. This resulted in a situation wherein Pollution Control Board could not maintain the register containing particulars of the conditions imposed under the rules for management of hazardous waste under Section 5 (9) of the Rules. This provision also stipulates that any person interested or affected or a person authorized by him can inspect this register during office hours. A situation has arisen wherein workers and communities of Giddha panchayat and adjoining areas of Koilwar block has been denied the opportunity to ascertain the amount and quality of hazardous waste generated by Nibhi company and correlate it with the human, occupational and environmental health impacts. 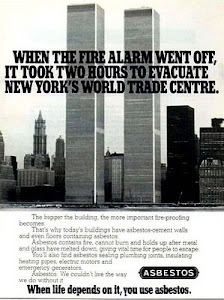 The Pollution Control Board’s affidavit states that besides this when Nibhi asbestos company was issued show cause notice under Water (Prevention & Control of Pollution) Act, 1974 and Air (Prevention & Control of Pollution) Act, 1981, it chose not to respond to it. Not only this when pursuant to a complaint of ToxicsWatch Alliance (TWA) to Union Ministry of Environment & Forests Government of India through its Regional Office at Ranchi, Bihar Pollution Control Board re-inspected the factory, it was found that the factory was in operation in disregard of the closure order from Pollution Control Board. The non-compliance with Pollution Control Board’s order has inflicted injury and caused damage to the environment, the counter affidavit of the Board has submitted. Pollution Control Board warned Nibhi company by a letter dated 22 September 2016 stating that if there will be non-compliance, a compliant will be filed against it under Section 37 of the Air (Prevention & Control of Pollution) Act, 1981. In its affidavit, the Pollution Control Board has submitted that although the company had the option of filing an appeal before the appellate authority within 30 days of its order, instead of availing the alternative remedy, it has chosen to file the case in the High Court. The company had the option of filing an appeal in the National Green Tribunal if they had felt aggrieved by the decision of the appellate authority of the Pollution Control Board. Following anti-asbestos movement campaign and taking note of the violation of environmental laws by asbestos factories in Bhojpur, Bihar, BSPCB cancelled the No Objection Certificate given to the asbestos factory units of Tamil Nadu based Nibhi Industries Pvt Ltd. Despite such action this factory has been operating with impunity. The matter was last heard on July 21, 2017. BSPCB has filed its counter affidavit pursuant to Court’s order dated March 23, 2017. It is puzzling as to why BIADA has been made a party in the case. Given the fact that No Objection Certificate of all the asbestos based factories in Bihar has been cancelled by BSPCB, there is no legal basis for the continued operations of this hazardous factory. Notably, questions were raised against these plants in Bihar Vidhan Sabha and Vidhan Parishad. Abdul Bari Siddiqui, former Bihar Finance Minister had raised the issue of hazardous asbestos factories in Vidhan Sabha. In another significant observation Awadhesh Narain Singh as Chairperson, Bihar Legislative Council (BLC) and former labour minister said, “buying asbestos is akin to buying cancer” and “pain of asbestos related diseases is worse than the pain of unemployment.” The speech is available at http://www.youtube.com/watch?v=B9TbemRUkYM. He noted that his own B-Ed College affiliated to Aryabhat University faces threat from this hazardous factory as it is located exactly behind it. In fact boundary walls alone create two sites wherein at one site a hazardous and cancer causing factory operations are happening illegally and illegitimately and on other site education activities are happening threatening health of teachers and the staff of the college. It is noteworthy that this poisonous factory was initially proposed to be set up at Dharmachak and Salempur, Dhariyapur, Chapra but villagers from there got a relief when their village site was not selected for such hazardous industrial activity. As per Supreme Court's judgment of January 27, 1995 in Writ Petition (Civil) No.206 of 1986 which was reiterated on January 21, 2011, the State govt has to comply with fresh ILO, resolution of June, 2006 on Asbestos and the health records of workers have to be maintained for 40 years and for 15 years after the retirement. The Judgment also stipulates compensation for such workers who suffer from asbestos related diseases. In violation of Court's orders, the Nibhi company has not been maintaining the health record of the workers in its factory at Giddha, Koilwar. It is not conducting Membrane Filter test to detect asbestos fibre. It is not insuring health coverage to workers and that the company does not have qualified occupational health doctors to undertake these tasks. There is a compelling reason to ensure that both these companies in question are tasked to decontaminate asbestos laden factory sites, building, prepare a register of victims of asbestos related diseases and announce a compensation fund for victims of fatal diseases remains to be undertaken. 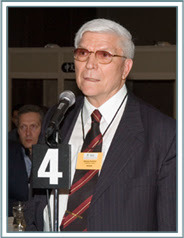 This is required to save present and future generation from incurable asbestos related diseases. It was listed for hearing on 8 February 2017, 23 March, 7 April, 12 April, 27April, 5 July, 11 July and 21 July 2017. So far High Court the Nibhi asbestos factory case has been listed on nine occasions since the filing of the case on September 1, 2016. It may be recalled that after more than five years of villagers' struggle against lung cancer causing asbestos based plant of West Bengal based Balmukund company in Chainpur-Bishunpur, Marwan block in Muzaffarpur district of Bihar was closed. It had approval for 3 lakh ton per annum capacity. Bitter resistance against the proposal of West Bengal based Utkal Asbestos Limited (UAL) at Chaksultan Ramppur Rajdhari near Panapur in Kanhauli Dhanraj Panchayat of in Goraul block in Vaishali made the Bihar Chief Minister Nitish Kumar intervene after a delegation of leaders from Left parties and anti-asbestos activists met him in this regard. I worked with Khet Bachao Jeevan Bachao Jan Sangarsh Committee ofMuzaffarpur and Vaishali to resist the setting up such hazardous plants and represented it in negotiations. Bihar State Pollution Control Board (BSPCB) cancelled the No Objection Certificate given to the UAL company. It had approval for 2.5 lakh ton per annum capacity. This company also operated Giddha, Bhojpur based asbestos factory for some time as well. After he was presented a memorandum signed by 10, 000 villagers, BSPCB’s Chairman stood his ground against the factory because it had violated the Battery Limit fixed for such hazardous industries. Company representatives compared harmful effects of asbestos exposure to harm from drinking too much alcohol and road accident. This was emphatically rejected by the villagers as quite insensitive. The peoples struggle led to stoppage of proposed asbestos based plant of 1.25 lak tons per annum (TPA) capacity in Pandaul, Sagarpur, Hati tehsil in Madhubani. The proposal of 2.5 lakh TPA capacity plant by Hyderabad Industries Ltd in Kumar Bagh, Bettiah, West Champaran has also been stopped. The company has constructed a boundary wall amidst rich agricultural field but faces court cases from villagers. Clearly, Bihar is paving the path for an asbestos free country like some 60 countries which have banned white chrysotile asbestos, the key carcinogenic mineral fiber imported from Russia, Kazakhstan, Kyrgyzstan and Zimbabwe. It is high time other States also took cognizance of the harmful effect of use, manufacture and trade of asbestos based products. In a significant development, Kerala Human Rights Commission has recommended ban on use of asbestos in public buildings. National Human Rights Commission has observed, “Replace the asbestos sheets roofing with roofing made up of some other material that would not be harmful to inmates” in Case No.693/30/97-98. It is unbecoming of the India’s scientific stature to take untruthful and unscientific position displaying unpardonable callousness towards concerns of consumers, public health, workers, environment and human rights. 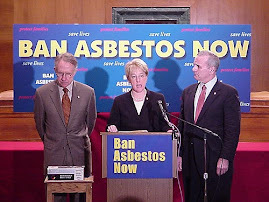 India should learn from countries that have banned asbestos of all kinds including white chrysotile asbestos. These countries are: 1) Algeria, 2) Argentina, 3) Australia, 4) Austria, 5) Bahrain, 6) Belgium, 7) Brunei, 8) Bulgaria, 9) Chile, 10) Croatia, 11) Cyprus, 12) Czech Republic, 13) Denmark, 14) Egypt, 15) Estonia, 16) Finland, 17) France, 18) Gabon, 19) Greece, 20) Germany, 21) Gibraltar, 22) Hungary, 23) Honduras, 24) Iceland, 25) Iraq, 26) Ireland, 27) Israel, 28) Italy, 29) Japan, 30) Jordan, 31) Kuwait, 32) Latvia, 33) Luxembourg, 34) Lithuania, 35) Mauritius, 36) Mozambique, 37) Malta, 38) Netherlands, 39) New Caledonia, 40) New Zealand, 41) Norway, 42) Oman, 43) Portugal, 44) Poland, 45) Qatar, 46) Romania, 47) Saudi Arabia, 48) Sweden, 49) Switzerland, 50) Serbia, 51) Seychelles, 52) Slovakia, 53) Slovenia, 54) South Africa, 55) South Korea, 56) Spain, 57) Turkey, 58) Uruguay, 59) United Kingdom and 60) Ukraine. Although domestic laws in India recognize white chrysotile asbestos as hazardous, the Union Government has been taking inconsistent position in this regard in UN meetings. Government should take steps to rectify the blunder it has committed by immorally and illegitimately denying right to know about hazardous substances to present and future Indians. It should factor in views of health and environment ministers to pave the way for creating a future which is free of incurable hazardous asbestos related diseases. Indian laws include asbestos in the list of hazardous substances but tremendous influence of commercial interests has forced the Indian delegation to take a position which is diametrically opposite of domestic laws. It is hoped that India will learn from anti-asbestos struggles in Bihar and revise its position at the next meeting of UN’s Rotterdam Convention on the prior informed consent procedure for certain hazardous chemicals and pesticides in international trade in 2019 to defend democratic right of people to be protected from hazardous substances. The listing of white chrysotile asbestos in the UN list of hazardous substances helps in better protection of public health and environment. India should refrain from taking positions which is contrary to its own domestic law. 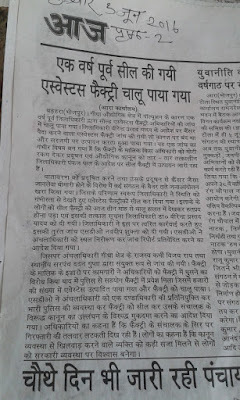 Nibhi's hazardous cancer causing factory is situated in front of the Trident B.Ed College, Giddha, Koilwar, Bhojpur affiliated to Arybhatt Knowledge University, Patna. 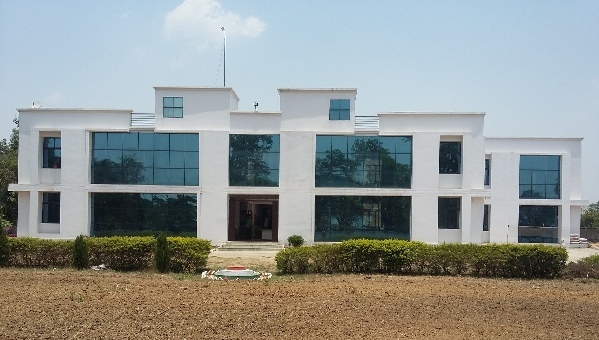 The college has 6 acres of land situated at Giddha Industrial Growth Center. It is at a distance of 50 kms from the state capital on NH 30. There is just a brick boundary separating the factory and the Be. Ed college. In order is safeguard the teachers and staff of this college, the company should be made to decontaminate the site of the factory before moving away after the High Court's verdict.